Panasonic has unveiled its OLED flagship – the EZ1000 Series ‘Master OLED’ – delivering a premium visual and audio experience with Panasonic’s ‘Absolute Black Filter’, and the integrated Technics ‘Dynamic Blade Speaker’. Panasonic has delivered its most accurate and detailed picture ever with the EZ1000. In this model, the stunning contrast and rich colour of OLED combine with Panasonic’s professional-grade processing technologies, honed over the company’s 79-year history in TV research and development. This marks the introduction of Panasonic’s first OLED TV range in Australia, with the 65-inch EZ1000 Series launching in July, and a 77 inch model in November. In addition, the EZ950 Series OLED will offer 65 and 55-inch models, both available in July. Panasonic will also release a premium range of 4K Pro HDR Ultra HD LED LCD TVs at the top of its 2017 LED LCD lineup, the EX780 Series; and the entry-level 4K HDR Ultra HD EX600 Series. For industry experts and film enthusiasts alike, OLED screens represent the ultimate in picture quality. OLED’s unique ability to have each and every pixel produce its own light and colour leads to incredibly rich, natural colours and industry-leading contrast. 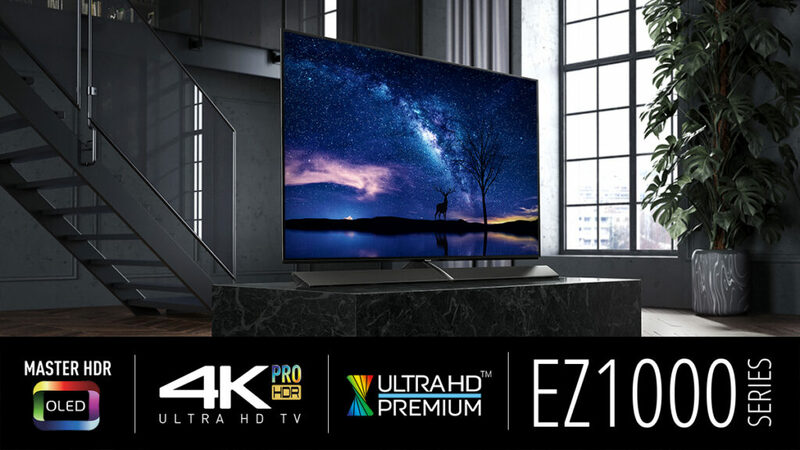 Panasonic’s 4K Pro HDR technology is the ‘brain’ behind the EZ1000 and EZ950 OLED TVs and its premium EX780 LED LCD range. At its heart are three key capabilities – the Studio Colour HCX2 (Hollywood Cinema Experience 2) 4K Processor; HEXA Chroma Drive 4K Pro; and Hollywood Tuning. Panasonic’s HCX2 Processor represents the culmination of decades of technological knowhow derived from the production of Panasonic’s reference quality Plasma, LED LCD and OLED TVs and professional broadcast and film-making equipment – and delivers an unprecedented level of accuracy to an array of colours, and clarity and gradation to black levels. HEXA Chroma Drive 4K Pro uses professional quality colour management technology to capture every nuance and detail – incorporating 6-colour reproduction; a colour correction system that uses professional 3D look up tables for astounding accuracy; and panels that can show almost 100 per cent of the DCI colour space, critical to producing a truly authentic high dynamic range (HDR) picture. To maximise the true potential of these components, Panasonic TVs are tuned by a Hollywood colourist to deliver an accurate cinema experience true to the film-maker’s vision. Panasonic’s impressive EZ1000 Series ‘Master OLED’ will be available in 77-inch and 65-inch screen sizes. Because Plasma and OLED are both self-emitting technologies, Panasonic has been able to apply its expertise in fine-tuning Plasma technology and use the same methodologies within the specialised HCX2 processor, to deliver the full potential of OLED. The EZ1000 Series features Panasonic’s ‘Absolute Black Filter’ which reduces reflections and delivers blacks with precision and depth even in the most challenging technical conditions such as off-black scenes with deep shadows which can look grey due to OLED’s brightness. As a result, the ‘Absolute Black Filter’ delivers the purest, most accurate black levels. Panasonic hasn’t just focused on achieving stunning pictures for the EZ1000. Outstanding audio is assured by the slim, fully-integrated ‘Dynamic Blade Speaker’, with Technics engineers involved at every stage of development, from mechanical and electrical circuit design through to sound tuning. This deceptively slim audio system houses no less than 14 multiple speaker units (eight woofers, four squawkers and two tweeters, plus a quad passive radiator to boost bass). With the EZ1000 and EZ950, Panasonic has pushed the boundaries of television technology to deliver superbly accurate pictures. Panasonic’s 4K Pro HDR technologies unlock the full contrast and colour potential of the latest OLED screen technology, with unprecedented black levels and the most accurate colours ever seen, resulting in pictures of extraordinary precision and spectacular beauty. Panasonic’s newly forged Studio Colour HCX2 4K Processor delivers an unprecedented level of accuracy to an array of colours, and clarity to the exceptional black levels and ground-breaking brightness of the HDR OLED panel. Each OLED panel makes its own light – this means reproducing detail in dark areas is a particularly tough challenge as a consequence of the relatively large jump from off (zero black) to on (above black). Through the application of processes honed during decades of plasma screen production, Panasonic’s engineers were able to significantly enhance the production of fine detail, especially in those near-black areas. 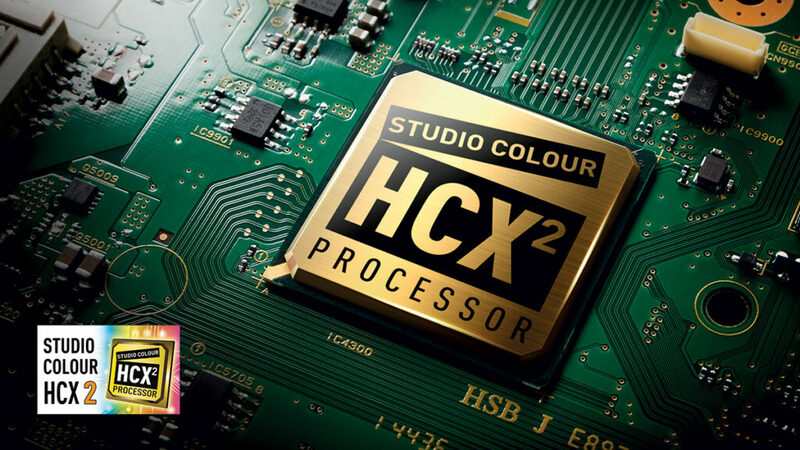 Fine-tuned by Hollywood professionals to deliver picture quality true to the film-maker’s vision, the Studio Colour HCX2 4K Processor has been refined to handle OLED technology’s exceptionally large gamut of one billion colours. The result is more precise colour reproduction, especially in areas that are particularly difficult to reproduce such as dark shadows and bright highlights. 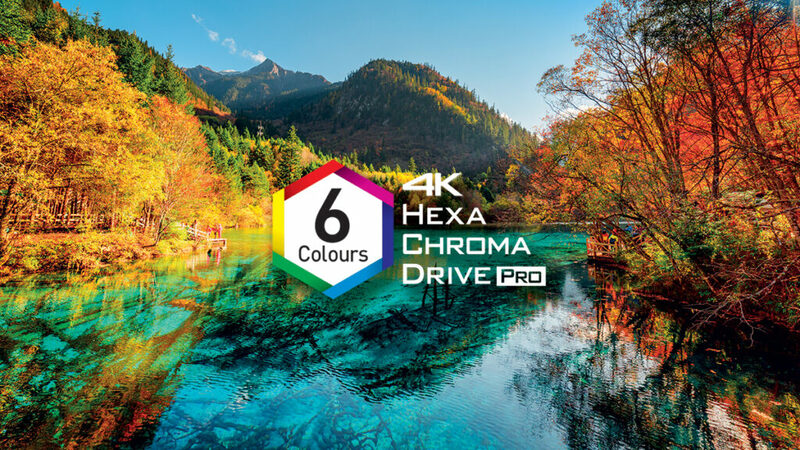 HEXA Chroma Drive 4K Pro provides natural, rich colours with 6-colour reproduction which adds three complementary colours (CMY) to the three primary colour areas (RGB). A vital component is the colour-correcting system which includes the use of professional 3D Look Up Tables. Uniquely, every single brightness step has a complete database of colours stored on the processor to ensure that the most accurate colours are always displayed, even with the most challenging of material. The EZ1000 and EZ950 OLED TVs can show almost 100 per cent of the DCI colour space, which is critical to producing a truly authentic HDR picture. Professional colorists can upload and use their own Look Up Tables through the USB ports, while the panels also feature Imaging Science Foundation (ISF) calibration settings, are compatible with Portrait Displays’ CalMAN calibration software, and are THX certified – yet more proof for consumers of their amazing precision. In addition, with extreme colour accuracy, super-deep blacks, unprecedented near-black detailing and high OLED brightness, the TVs are supremely well equipped to handle HDR’s extreme contrast and colour demands. 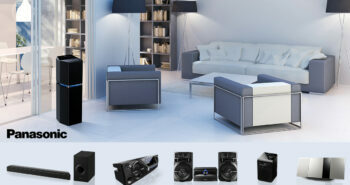 The EZ1000 and EZ950 are both crafted according to Panasonic’s Art and Interior design ethos. Taking inspiration from the foremost principles of interior design, they blend style with premium materials. The top-of-the-line EZ1000 has an ultra-slim panel to integrate elegantly and seamlessly into the modern home. It represents the ultimate blend of form and function with its powerful ‘Dynamic Blade Speaker’ sound system, which is integrated into its stand, so that the screen seems to float above the speaker. The EZ950 also impresses with its minimalist pedestal design. All Panasonic’s 4K HDR models, both OLED and LED LCD, offer the benefits of HDR multi-format capabilities. High Dynamic Range (HDR) is vital for accurately revealing fine detail in scenes that combine the darkest and brightest of content. Meeting strict criteria concerning resolution, bit depth and colour gamut, the TVs are fully compatible with HDR10, a compulsory feature on UHD Blu-ray content and used by streaming services such as Netflix and Amazon Video. Furthermore, with compatibility for Hybrid Log Gamma (HLG) HDR (as developed by NHK of Japan and the BBC), Panasonic unequivocally shows its commitment to the latest technology, which will be the bedrock of future television broadcasting. With HDR gaining traction on 4K games consoles, Panasonic’s fastest-ever 4K HDR Gaming mode will meet the demands of the most proficient of gaming enthusiasts. It substantially reduces input lag to improve performance when playing 4K HDR games, especially those with fast movement that require quick reaction times. 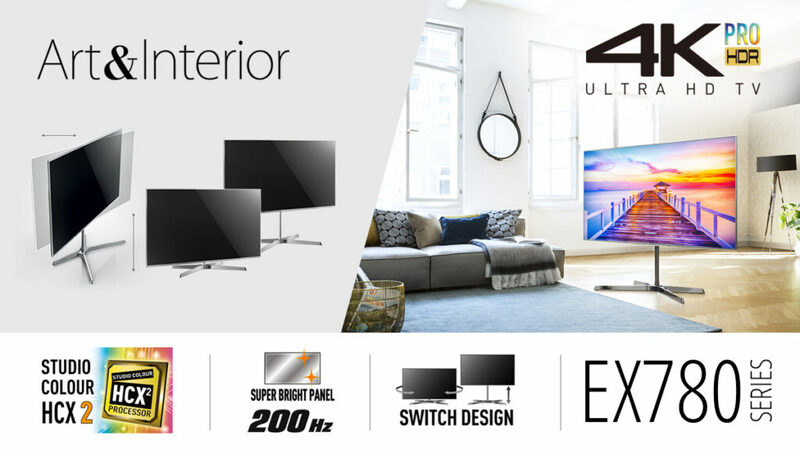 Complementing Panasonic’s new line-up of 4K Pro Ultra HD OLED TVs, the latest generation of LED models feature next-generation processing, enhanced LED lighting, and the latest LCD panels. 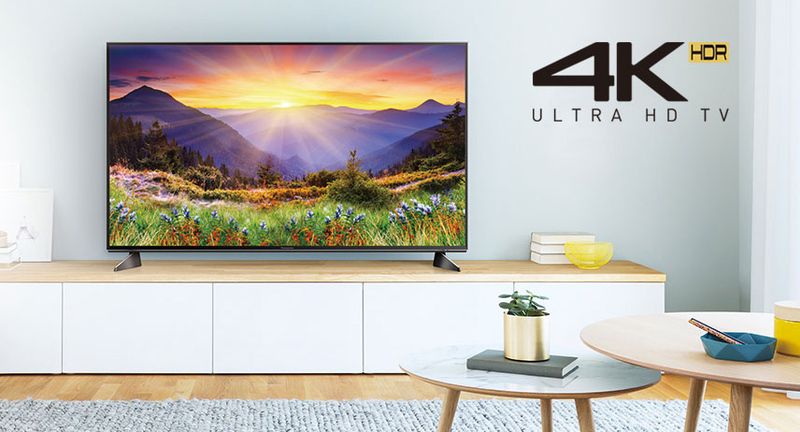 Panasonic offers consumers exceptional HDR picture quality throughout the entire 4K range. Panasonic’s 4K Pro HDR picture technologies also ensure superior performance from the company’s premium LED LCD range. The Panasonic EX780 Series – available in 75-inch, 65-inch and 58-inch screen sizes – proudly bears its 4K Pro HDR hallmark with a Panasonic Hollywood Laboratory-tuned display that is designed to show vision exactly as the film-maker intended – with wide cinematic colours, inky blacks with subtle gradations, and outstanding levels of brightness. 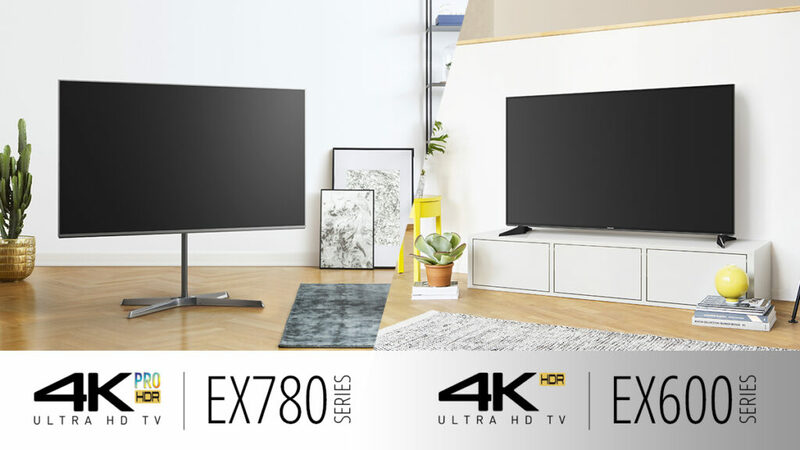 The EX780 has a 200Hz (Hertz) Super Bright panel for excellent clarity and smooth motion, and is powered by the same Studio Colour HCX2 4K processor as Panasonic’s pro-grade OLED TVs. The processor boosts picture quality with digitally enhanced Local Dimming of the LED backlighting, which combines fine control of the physical backlight operation with additional processing to deliver better localisation of black levels and class-beating HDR images. The EX780 includes Panasonic’s HDR Brightness Enhancer designed to optimise HDR picture quality in brightly lit rooms. Dark scenes, which can be difficult to see in these conditions, are optimised to increase the luminance of their low brightness areas, allowing the scene to be enjoyed as it was intended, even in a brighter environment. The TH-58EX780 incorporates Panasonic’s innovative ‘Swivel and Lift’ design, allowing the panel to be adjusted to four different heights and swivelled to ensure the perfect viewing angle. Cables are also neatly hidden from view in the stand’s central pole. 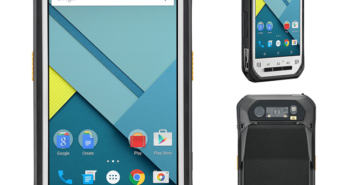 The TH-65EX780 can also be conveniently swivelled. With the introduction of the EX600, for the first time Panasonic now offers the benefits of HDR on all of its 4K TV Series. Delivering impressive 4K viewing, the TV incorporates a 100Hz Super Bright panel, Advanced Colour Processing, and Adaptive Backlight Dimming. This allows the TV to process and display a truly natural HDR picture from HDR10 and HLG sources with rich colour and excellent detail in both high brightness areas and dark shadows. The EX600 Series is available in 65-inch, 55-inch, 49-inch and 43-inch screen sizes. All Panasonic’s 2017 4K TVs feature the My Home Screen 2.0 interface. It’s easily customisable and provides a quick and intuitive means of finding content from multiple sources such as broadcast channels, web pages, apps and external devices. The latest features include folders for multiple users, a My App button on the remote that can be customised for faster access to favourite content and a revamped Media Player app that supports 4K HDR10 and HLG content playback. The EZ1000 and EZ950 also include Control 4’s Simple Device Discovery Protocol. 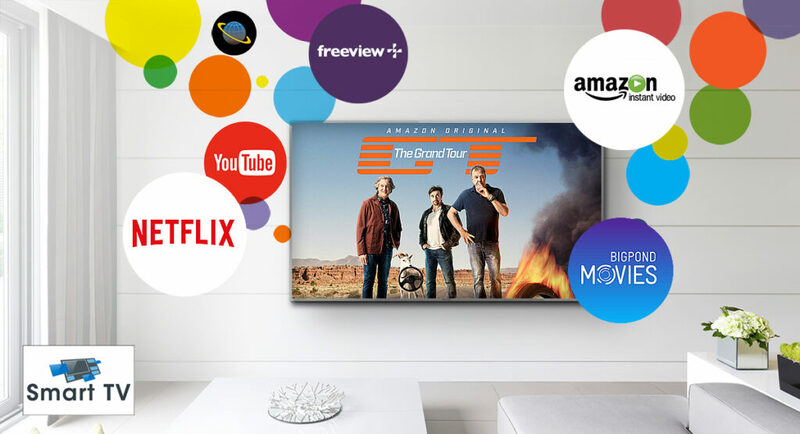 With more and more Australians bingeing on streamed TV, it’s conveniently simple to stream shows and clips from Amazon, Netflix, BigPond Movies and YouTube, and watch video from those key sources in 4K HDR quality. Panasonic also offers Freeview Plus support. Panasonic’s TV streaming feature allows users to easily stream broadcasts from their main TV to a second device such as tablets or smartphones in another room. Twin HD Tuneri lets the viewer enjoy picture in picture functionality, record one program while watching another, or watch one program while streaming another to a smartphone or tablet device. Swipe and Share also makes sharing content between the TV and smart devices over the home network easier than ever. And with TV Anytime and the Panasonic Media Centre App, stream live TV shows or movies on your tablet or smartphone wherever you are in the world. For more information, please contact Panasonic on 132 600 or visit: www.panasonic.com.au.